She’s got your hero right here. Raquel was half the main characters in the Icon super-hero comic book, published during the 1990s by Milestone. For context we strongly recommend reading the Icon profile first, since he’s the one with the big backstory. Known Relatives: Amistad Ervin (son), Robert Ervin (father), Sandra Ervin (mother), Della Ervin (sister, deceased), Del Ervin (stepbrother), Mrs. Ervin (grandmother, deceased), Ruth (great aunt), Reynard (cousin). Group Affiliation: Partner of Icon I. Base Of Operations: Paris Island, Dakota City. Raquel is a talented writer, gifted athlete and natural brawler. Though she has no formal training in hand to hand combat, the reflexes and agility she developed as a high school gymnast combined with her natural aptitude in melee combat make her a competent melee fighter. Raquel derives all of her superhuman abilities from an “inertia winder”. This is a common piece of Cooperative technology that was scavenged from Icon’s escape pod and extensively modified by Curtis Metcalf (aka Hardware). The device is housed within the buckle of Raquel’s belt. Once activated itcan absorb, store and disperse any form kinetic energy directed towards it. This essentially renders the bearer of the winder impervious to kinetic or impact based physical assault. Punches, bullets, falls, and even explosions have little to no affect of Raquel while she is wearing the belt. Increase the power of her punches. Impart the stored energy into a motionless object. Fire devastating blasts of pure force. As Raquel becomes more proficient with the winder, it is quite possible that she will create additional novel uses for the device and its power. From experience in the field, Raquel has discovered that the inertia winder has a number of limitations. Its inertial field can be temporarily overloaded by an overabundance of kinetic energy; leaving any additional force that could not be absorbed by the field to be born directly by the bearer. Moreover, the kinetic field is completely useless against any danger that does not have a purely kinetic component. The belt provides no protection against electricity, fire, cold or similar hazards. Finally, the winder’s inertial field has a tolerance level to prevent it from activating at the slightest touch. What this means is that a clever opponent employing minimal force can actually bypass the field without activating it and attack Raquel directly. Raquel Ervin was living the life of a typical teenager until the night that her then boyfriend, Noble, persuaded her to break into the home of Augustus Freeman IV. She was a relatively good kid; she worked hard to get good grades at school, took place in a few extra-curricular activities and worked for her mother at the family restaurant. Unfortunately for Raquel, Noble was a gifted speaker, and breaking into the home was far from the first stupid thing he had persuaded her to do. Raquel went along with Noble and a pair of his friends to Augustus’s residence late one night in the year 199x. Noble and his friends split up immediately and started to ransack the rich man’s home. Raquel having little taste for thievery, found herself drawn to the vast library that Noble had promised her would be in the sprawling manor. She was amazed at the sheer volume of literature that the wealthy lawyer had amassed and was wandering about them quietly when man in a bathrobe walked briskly past without noticing her. Raquel hid as the bespectacled man confronted Noble and his gang. They assumed he was the butler, and told him that it wasn’t worth getting hurt over his employers things. The man announced that he was the owner, and that the youths were to surrender the objects they had already claimed and leave his home. When he moved suddenly, Noble fired the handgun he had brought along with him directly into his chest. Raquel could only look on in horror as Augustus Freeman recoiled from the blast, and landed still on the floor. Raquel had only a few seconds to share looks of shock, fear, shock and revulsion with the other three youths. They had not planned on a confrontation that night, and moreover, they definitely did not plan on hurting anyone. The stillness of the moment only lasted a few seconds though, as Augustus sat up suddenly and angrily declared that they had made a serious mistake. That was too much for the teens to handle. The four burst into motion and ran out of the manor in the attempt to escape. Raquel had been following Noble closely even as a man shaped shadow passed overhead. When she raised her eyes, something patently impossible met her eyes. Augustus was… flying. Raquel watched with stars in her eyes as the man that they had attempted to rob, and murder soared majestically over them and came to a halt a few feet in front of them. The four stood in stunned silence as Augustus delivered a stern lecture to them, and then threatened their physical well-beings if they revealed his gifts to anyone or trespassed upon his property again. All the while he was hovering inches above the ground. Raquel didn’t hear a single word he had said during that speech, her mind was racing at the possibilities of what she had just seen. Raquel spent the next couple of days thinking about what she had seen Augustus do, and what it meant. She looked around her, and thought about her friends and others like them. She thought about Noble, and what they had almost done; anyone else other than Augustus would have been dead now because of their foolishness. She saw the types of men and examples that the youths of her generation idolized and realized that Augustus could give them something more to look up to. With that thought crystallized in her mind, she began to create a series of drawings to present with her pitch to the bespectacled lawyer. It took her no time at all to locate Augustus’s place of employment, and within a few short days surprised him at work. After introducing herself, she launched directly into her impassioned speech. She told him that it was his duty to use his gifts to inspire the youth of her generation to be something more. Augustus scoffed at her idea and though it was obvious that he admired her passion, he felt that if the black youth of her generation truly wanted to rise above their situation they would have already. Raquel, disappointed and frustrated, left Augustus’ office in defeat. But not before making one final statement. She told him it was easy to rise above your station in life when you could already fly. Her hopes dashed, Raquel returned to her day to day life and mourned the missed opportunity for not only herself but the people who surrounded her. All that changed when she heard a rap on her bedroom window late one night a few days later. When she looked through the window pane, Augustus was hovering there with a slight smile on his face (apparently, she wasn’t the only one who could track someone down). A few seconds later, Raquel herself felt a large grin fighting its way across her face and a renewed sense of purpose blossomed within her heart. A few weeks later, the duo had worked out the details of their arrangement. Augustus had assumed the super-heroic identity of Icon, while Raquel, using a heavily modified inertia winder from his escape pod, became his side-kick Rocket. In the meantime, Rocket had subdued Payback, the Bang Baby who was leading them and coaxed his motives out of him. Icon listened in to Payback’s sad story, and realized that he was only searching for the truth of what happened on the night of the Big Bang. Over the next several weeks the pair went on a tear. They faced criminals of kinds from car thieves to super-powered bang babies. During this time, Rocket and Icon came into direct conflict with the Blood Syndicate. The Blood Syndicate was the most feared gang in all of Paris Island, as their members were amongst the most powerful bang-babies created from the Big Bang. The conflict eventually ended amicably but Icon grew concerned about Raquel’s ability to continue fighting in her current condition. Confused by his words, Raquel asked Icon exactly what he meant and was shocked when he revealed to her that she was pregnant. Raquel thought back to a night a few weeks before she had met Augustus, when Noble had persuaded her to do something else that was stupid and immediately began to panic. She went home that night, and after confirming Icon’s statement decided that she would continue on in her role as Rocket for as long as was physically possible. As the two grew closer together, Raquel began to question the origins of Augustus’s superhuman abilities and more so, his overall manner and bearing. When he stated plainly that he was an alien who had been stranded on the earth centuries ago, she stormed off angrily in disbelief. Eventually, when she calmed down Augustus showed her his escape pod that he had in a secret chamber deep within the basement of his home. In that moment, Raquel was forced to accept the truth; her benefactor was secretly an alien from another world. 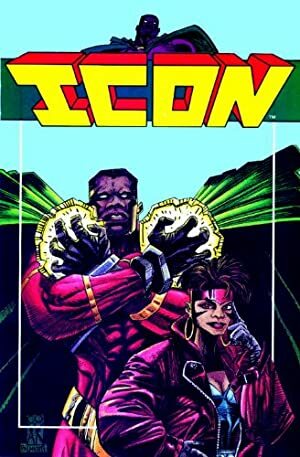 Though Raquel was stunned by the revelation, the two spent a great deal of time discussing Icon’s home world, its customs and exactly how long and what he had experienced while stranded on Earth. Throughout all of their conversations, Raquel sat transfixed by a man who had actually lived through and experienced the history that she was so enamoured with. Shortly after the discovery of her pregnancy, postal worker Fred Bentson first triggered his superhuman ability to open dimensional rifts, and opened a portal to DC Universe. Fred had no conscious control over his power, and eventually it threatened to drive him mad. He created the identity of “Rift” for himself. In moment of clarity, he then attempted to merge the two universes together. Icon and Rocket, alongside of the other heroes of Dakota City, teamed up with the fictional character Superman and the heroes of Metropolis — such as Steel — to stop Fred and seal the dangerous rift between their worlds. Rocket and Icon’s adventures continued for the next couple of months. Eventually, Icon’s people finally renewed contact with him and offered to return him to his alien home. Raquel was one of the first people he told, and once he tidied up his affairs within Dakota City, the two shared a heartfelt goodbye on the remains of the Dakota Bridge. With Icon’s departure and her impending due date, Raquel decided that it was time for her to cease her activities as Rocket. However, she felt that Dakota City still needed Icon and Rocket so she set out to find replacements for both Augustus and herself. She chose her best friend, Darnice, to take her place as Rocket. Though it took some convincing, Darnice eventually accepted the role and proved to be an excellent replacement. The two approached Buck Wild, a former mercenary that Raquel had encountered alongside Icon during their adventures, to take Icon’s place. Buck gladly accepted Icon’s role and threw himself into it with abandon. As Buck and Darnice fought crime in Dakota, Raquel gave birth to a baby boy whom she named Amistad . Raquel spent several months raising her son while mentoring and guiding both Darnice and Buck in crime-fighting. That lasted until the day the villain Oblivion came to Dakota City searching for Icon. Oblivion was a psychotic killer from Icon’s home planet who had a score to settle with Dakota’s hero. Oblivion went on a rampage, murdering dozens of innocents, until Darnice and Buck arrived to confront him. The two were quickly overmatched by Oblivions superior power and Buck was fatally wounded in the battle. Darnice, fearing for her life, ran back to Raquel’s home hoping to hide. Raquel realized that no one else would come, used a holographic communication device that Icon had left her to contact Terminus. She informed him of her impending danger. After she sent the distress call, she once again donned her costume and inertia winder, and reclaimed her identity as Rocket. She did so just in time to do battle with Oblivion who had followed Darnice back to her home. Rocket fought Oblivion tooth and nail, using every trick she could come up with to try and defeat the vastly more powerful villain. Despite her best efforts, she couldn’t halt Oblivion’s rampage but when all seemed lost, Icon returned. With the two partners reunited, the fierce battle was decidedly one-sided and Oblivion found himself in the custody of the intergalatic authorities once more. Raquel expected Icon to return home immediately. But instead he chose to remain on the Earth. Initially, her elation with the news was palpable, but it quickly soured once she found out that he had remained to assist with the construction of Utopia Park. The Utopia Park project was a land reclamation project aimed at improving Paris Island by removing the older homes and building a massive entertainment complex. However, the project would force the current inhabitants of those homes, including Raquel and her family, to relocate into even worse conditions. Raquel argued passionately with Icon over his choice, and the two had a temporary falling out. At the same time, Raquel’s relationship with Darnice fell apart. That was caused both by lingering resentment at Raquel’s reclaiming of the Rocket identity and the fact that Noble had started dating Darnice. Eventually, the Utopia Park project was deemed a failure when riots broke out during the opening day. Icon and Rocket came to terms with is involvement with the project when she realized that he had taken part in the project as a Cooperative test of humanity. The Cooperative was an alliance of planets who had come together to form a single governing body. Icon’s home world of Terminus was not only a part of the Cooperative, it was the place where its government was based. Icon revealed to Raquel that her planet was in immediate danger of invasion by the Yoongar, a perplexing warlike race of sentients who razed entire civilizations to the ground simply because they could. Had the Utopia project been successful, the Cooperative would have deemed the human race worthy of their intervention and saved the planet. With its failure, Icon feared the Earth’s survival was improbable. But refusing to give up, he returned to the Cooperative to continue pleading the Earth’s case, but this time he returned with Raquel at his side. Raquel herself spoke eloquently on humanity’s behalf in front of the entirety of the Cooperative’s council. While the council was touched by the young woman’s passion, they still needed to deliberate over their next course of action. While they did so, Raquel acted like the impulsive teenager that she still was; she opened a portal to the Yoongar armada’s flagship and confronted them directly. Raquel fought several members of the Yoongar and quickly discovered that the superhumanly powerful race were not to be trifled with. Once again, it was only the timely arrival of Icon who had discovered her disappearance that saved her impetuous young life. The two heroes fought valiantly, and in the end actually ended up repulsing the invading armada on their own. With the Yoongar threat gone, Raquel returned to the Earth with Icon by her side and continued to defend Dakota city until the series end. Raquel is an athletically built African-American teen girl. Unlike the typical comic book heroic, she is slim and has a trim bust-line. Raquel’s hair sits in a plain shock atop her head and is style in a simple bowl-cut. Rocket’s costume consisted of a light blue body stocking that covered her head to toe. Only her face, ears and hair were left uncovered by the spandex-like material. She accessorized her costume with a pair of red briefs, a small yet functional pair of red boots, her red belt (with the inertia winder within the silver buckle) and a red headband. Silver bands of a metallic material wrapped were wrapped around her legs and she covered her hands with a pair of grey gloves. She finished off her ensemble with a fitted brown coloured waist length leather jacket. The original version of Rocket’s body stocking had a large “cleavage hole”, but she eventually eliminated it due to the judging stares from the males she encountered and her growing discomfort as her pregnancy progressed. Finally, Rocket wore a domino mask which made her eyes appear to be pupiless. Raquel Ervin is a passionate, charismatic, and idealistic young woman who wants nothing more than to do good and to change the world for the better. She sincerely believes that by providing the people of the community that surrounds her an example of excellence that they will eventually change and attempt to emulate that same behaviour. Despite (or perhaps because of) her tendency to slip into slang or to speak “street” when she’s upset, Raquel can be an eloquent and persuasive speaker. With her words and force of personality alone, she convinced an ancient alien who had been in hiding on earth for two centuries to reveal himself and become the hero of Dakota. While Raquel’s belt is her weapon of choice, perhaps her greatest weapon is her strength of character and ability to inspire. Raquel takes her duties as Rocket very seriously, and is as brave as any other three men. She is completely capable of entering a losing battle with a grin on her face and fire in her heart. Despite this, she often struggles with a great deal of stress and anger in her pursuit of justice. Fortunately, she has plenty of criminals to take her frustration out on. Raquel’s passion often translates itself into impulsive behaviour, she’ll often leap before she looks. Her passion and impulsiveness provides an interesting counter balance to Icon’s reserved and controlled nature. The two tend to bring out the best in the other, despite the fact that they can often get into heated arguments over their own disagreements (of interest, Icon is a card carrying Republican, while Raquel’s beliefs fall firmly within the liberal idea space). Part of the power of Raquel’s ability to inspire lies in her innovative approaches to issues. She was the one who developed the idea for Icon and Rocket after learning of Arnus’s abilities. Her subsequent council often aided the more experienced but staid Icon in seeing new sides of old dilemmas. Her inspiration to have the Cooperative provide a wargame to occupy the Yoongar Armada in perpetuity not only saved the Earth from potentially disastrous direct involvement with advanced civilizations when it was not yet ready, but also ended the larger ongoing conflict between the Cooperative and Yoongar in a mutually agreeable manner. Finally, Rocket is a loving mother and would do anything in her power to keep her some Amistad safe from harm. Expertise (Inertia Winder), Gift of Gab, Lightning Reflexes, Rich Friend (August Freeman IV), Scholar (African American Authors). Icon I (High), Buck Wild/Icon II (High), Darnice (High), Flashback (Low), Static (Low). Age (Young), Dependent (Amistad Augustus Ervin, son), Secret Identity. COSTUME [BODY 08, Cold Immunity: 01, Flame Immunity: 01]. FORCE FIELD BELT [BODY 07, Energy Blast: 00, EV: 00, Flight: 00, Jumping: 00, Kinetic Absorption: 10, Paralysis: 00, Power Reserve: 10. Bonuses & Limitations: EV can be added to EV of any object Raquel is touching using normal AP Math (+1FC); Flight requires belt’s wearer to have Expertise (Inertia Winder) before power can be utilized (-1FC); Kinetic Absorption has Range Bonus (+1FC), Does not stop Knockback attacks (-1FC) & Absorbed Kinetics adds to Power Reserve (+3FC); Power Reserve is fuelled by Kinetic Absorption (BC75, -5FC) and augments Energy Blast, EV, Flight, Jumping & Paralysis (+15FC)]. The Duration that absorbed RAPs are held in Power Reserve is equal to the APs of Kinetic Absorption(i.e. 10) or the use of the stored APs, which ever comes first. APs in use must be subtracted from the total using AP math rather than normal math. Uses two or more columns below the current total effectively are free. For example, if Rocket has a full charge of 10 APs, she could use her Powers up to 06 APs for free, get 3-4 uses at 07-08 APs, 2 at 09, or one big 10 AP effect. Helper(s): Kynn Bartlett (v1.1), Roy Cowan (belt mechanics and verbiage). 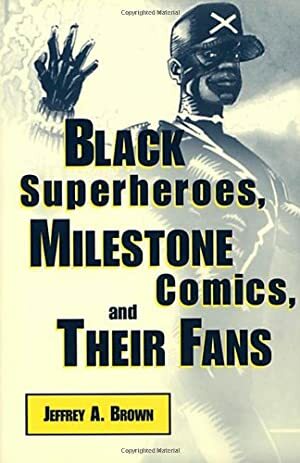 Helpers for v1 – Brian & University of Scranton, The Milestone Rave and Dwayne McDuffie’s website .